I came across this article that says BWW is slated to open Fall 2015. I noticed recently it looks like construction is actually happening in the space now. 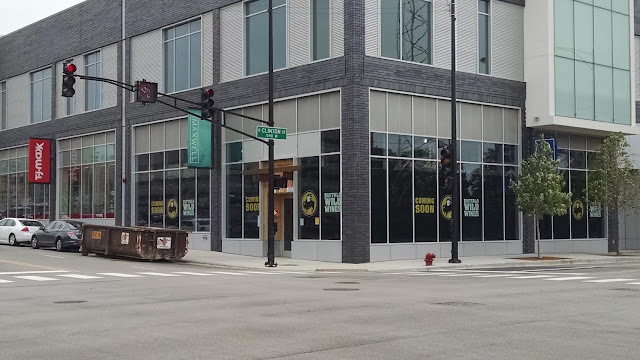 Englewood is also building a Buffalo Wild Wings restaurant in Chicago’s South Loop neighborhood at the corner of Taylor and Clinton streets in the recently built Maxwell Building. This restaurant will open in the fall of 2015. We also recently drove by the location and did notice some activity inside as well.